The question how many istari, wizards, there were is often asked and often answered slightly wrongly. Shark� tries to dissect the source material for all it's got. All about the mystery that is Elven facial hair. Beorn, the skin-changer in The Hobbit, brings up questions about his nature and origins. Here are some answers. Also, you might want to take a look at the comprehensive and in-depth article All about Orcs by HerenIstarion. Glorfindel of Gondolin (First Age) and Glorfindel of Rivendell (Third Age) -- are they the same? What are the intricacies of the special nature of the Half-Elves Elrond, Elros, and Arwen? Or, Just what did it mean to sail from the Grey Havens? 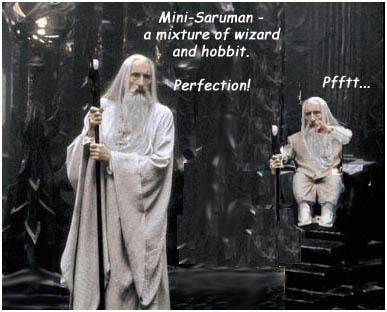 Of Gandalf and Saruman we know much, but there were other wizards sent to Middle-Earth. What do we know about them?